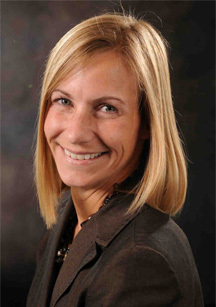 From 1992–2000, Leanne Schrecengost worked as a research scientist for a medical device company in Baltimore County. During that same time, she completed her Master of Science degree in Biotechnology and began pursuing her law degree. Leanne joined the firm as an associate in October of 2001 after working as a law clerk for another Baltimore County firm. Leanne’s practice includes all areas of alcohol and beverage licensing law, including related corporate and commercial lease work, as well as general commercial litigation.